When you hire an inexperienced company to install your gutters, chances are they won’t last as long as they should. Most Gutter Helmet dealers are also gutter installers with the equipment and experience to properly install your gutters – so they last. They use quality brackets and screws to help prevent sagging, even during the strongest rains. Knowledgeable gutter installers know the proper gutter size for your roof and the proper pitch for good drainage. No matter how well-installed a gutter system is, the materials will age. Extreme heat and cold and changes in temperature take a toll on everything outdoors. The most common gutter material today is aluminum. Make sure your gutter installer uses a gutter with a non-corrosive coating to help deter warping and material degradation for as long as possible. Most gutter systems are attached to a home’s fascia board. When the fascia deteriorates, it can’t hold the screws used during the gutter installation. 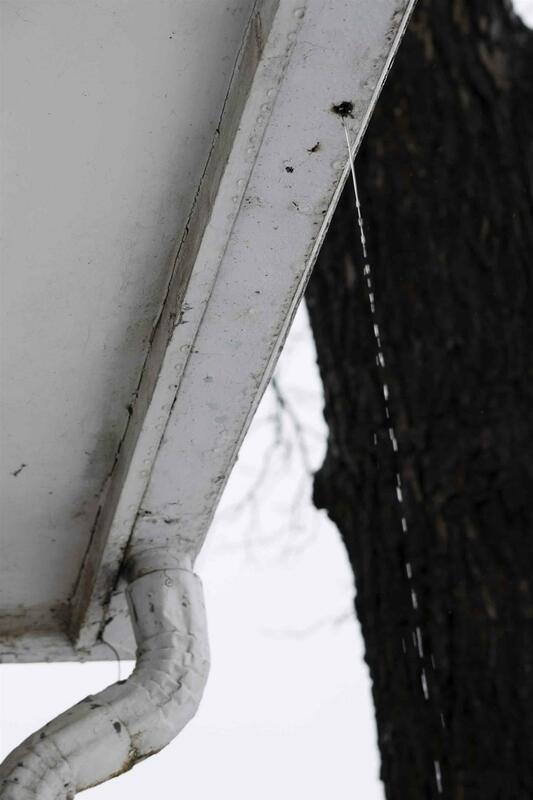 Water is one of the leading causes of fascia rot, particularly from clogged gutters where rainwater runs over the back of the gutter against the fascia. You can help prevent overflowing gutters with rain gutter shields from Gutter Helmet®. The most common reason for sagging or warped gutters is clogged gutters. Your gutters were designed to hold rainwater and funnel it away from your home. They weren’t designed to hold the weight of water-soaked debris and rainwater or ice. If you don’t have rain gutter shields on your gutters find which of our Gutter Helmet dealers services your area and request a quote. Rain gutter shields prevent gutters from becoming filled with debris and can help prevent the excess weight in the gutters and the water from running over the back of the gutters against the fascia. The simple addition of gutter covers will solve two of the major causes of gutter sagging. When you work with one of the approved Gutter Helmet dealers for your gutter covers and new gutters, you can be assured that you’ll have a great material that is coated and sized and installed properly. 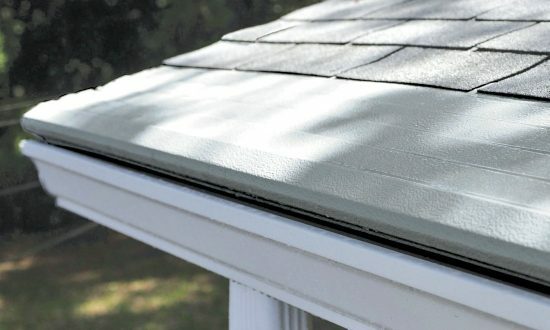 If you notice your gutters are sagging, call (800) 824-3772 to be connected to one of our Gutter Helmet dealers today. Ask how our rain gutter shields can protect your gutters and home from many of the common causes of sagging gutters.